Buying, selling, renovating or building a home can be a stressful experience. Absolute Building Inspections Ltd is on hand to make sure your dream home doesn’t turn into a nightmare. 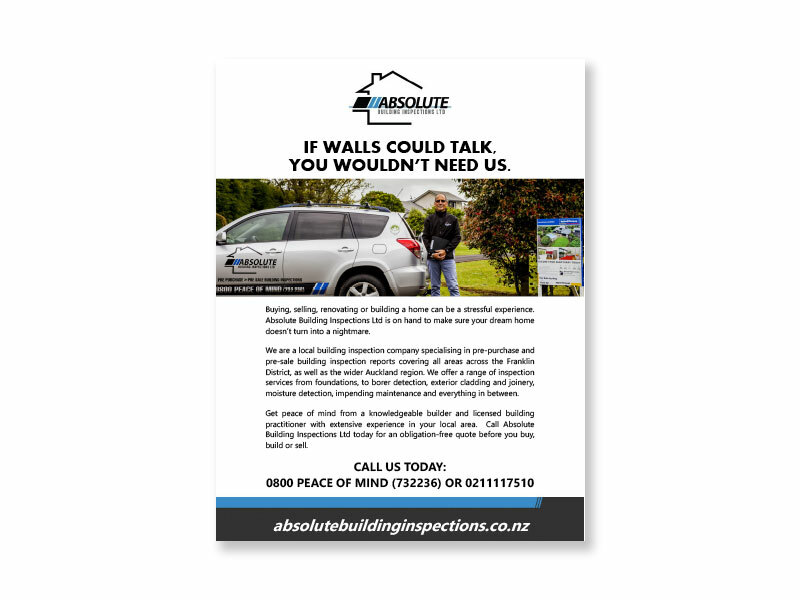 We are a local building inspection company specialising in pre-purchase and pre-sale building inspection reports covering all areas across the Franklin District, as well as the wider Auckland region. We offer a range of inspection services from foundations, to borer detection, exterior cladding and joinery, moisture detection, impending maintenance and everything in between. Get peace of mind from a knowledgeable builder and licensed building practitioner with extensive experience in your local area. Call Absolute Building Inspections Ltd today for an obligation-free quote before you buy, build or sell.